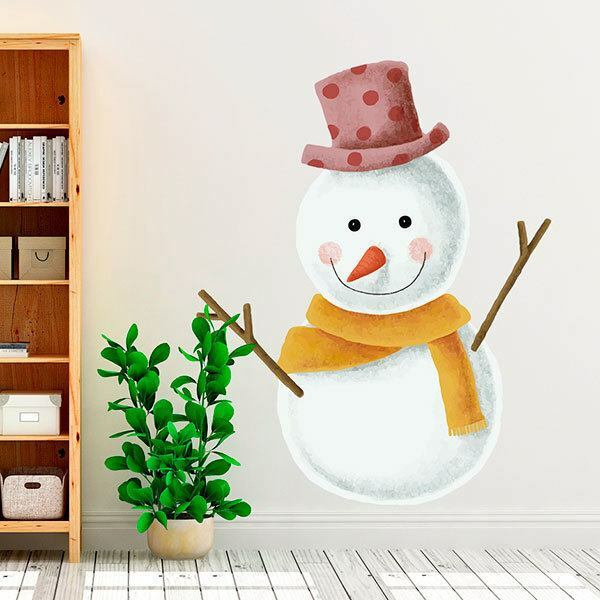 Kids wall sticker Happy Snowman. 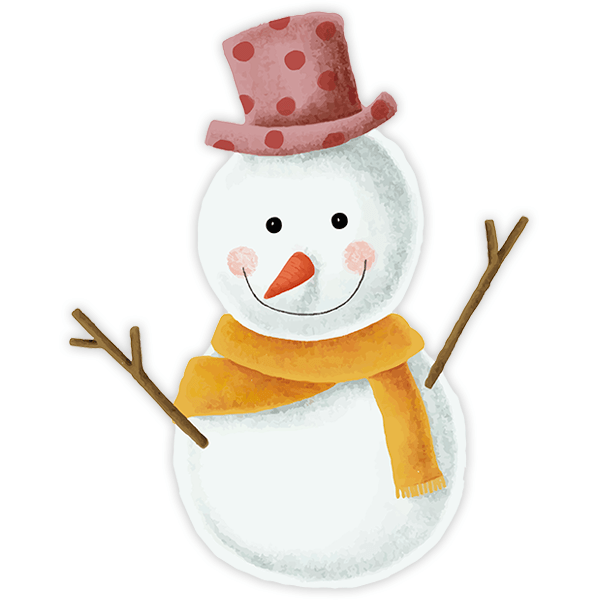 Funny snowman with a reddish bowling hat and a yellow scarf. His arms are branches that look like they are to give us a hug and his nose is a carrot. You can decorate a children's room with this Christmas design. Size: 50 x 39 cm. 12.60 x 15.75 in. 15.75 x 19.69 in. 18.90 x 23.62 in. 22.05 x 27.56 in. 25.20 x 31.50 in. 28.35 x 35.43 in. 31.50 x 39.37 in. 34.65 x 43.31 in. 37.80 x 47.24 in. 40.94 x 51.18 in.